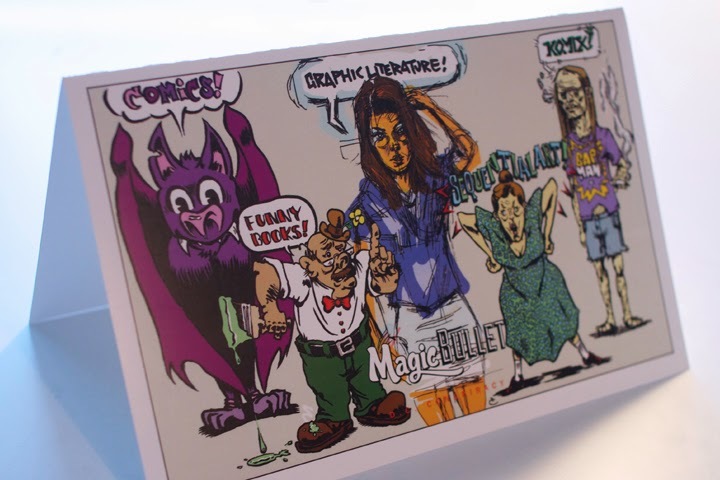 Here is the Magic Bullet #8 thank you card, which was recently mailed to all advertisers and others who helped towards the success of the newspaper. Eric Gordon was tapped to create the art. Thank you, Eric!